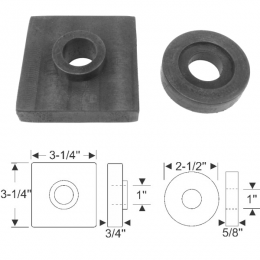 Rear body mounting pads. Rubber only. 2-piece set. 2 sets required per car. MADE IN THE USA.